It has evolved into South Florida’s premiere facility, providing both residential and outpatient therapies for young adults ages 13 and older, who are experiencing minimal to moderate substance abuse. We are firmly committed to the concept that if a person is chemically dependent, he or she can, with compassionate and professional help, learn to live a productive and responsible drug and alcohol-free lifestyle. Eclectic services are provided at our residential treatment facility in Opa-Locka and the outpatient care center in South Miami-Dade. Upon program admission, our team of highly qualified specialists develop an individualized treatment plan for each client, which may include individual and group therapy goals, vocational objectives, family counseling, music and art therapy interventions, case management, referral options, relapse prevention, continuing care counseling, emergency services, and a foundation in a 12-step or other support system. Treatment tracks are delivered in four-to-six months and are managed by 33 full-time and four part-time employees serving 800 clients annually. Recognizing our tremendous contribution to the field of chemical dependency, we’ve received funding from the Department of Children and Families since our inception, and have been accredited by the Commission on Accreditation and Rehabilitation Facilities (CARF) for over 17 years. During FY 2016-17, more than 75 percent of our clients completed 80 percent of their treatment plan goals. Legendary success for Here’s Help is attributed to designing every phase of our program with a thorough understanding of the needs of our clients. For our residential program, we’ve expended considerable financial resources to construct a creative learning environment housed in a state-of-the-art facility inclusive of semi-private dorms, a music and art therapy center, computer technology center, culinary arts program, tattoo removal services, fitness center, recreational field, media and entertainment auditorium, and a cafeteria accommodating up to 75 clients. Our computer technology center is directly linked with Miami-Dade County Public School’s curriculum facilitating educational enhancements. Program participation requires that adolescents attend daily core educational classes and encourages young adults to complete their GED. Pursuing a career of dedicated service, John J. Kross, Jr., Here’s Help, Inc. CEO and Board of Directors member, has been directly involved in the development of the agency for more than 38 years, utilizing his notoriety as one of South Florida’s most recognized on-air personalities (A.K.A. “Footy” of WHYI Y-100.7 & WIOD Newsradio 610, Clear Channel Communications) to promote and improve service delivery systems. The relational dynamics of staff and program sponsors is directly attributable to the evolution of Here’s Help, Inc. as an exemplary treatment facility recently awarded by the Department of Children and Families as 1st Place statewide for its highly innovative and successful interventions. Licensed by Florida Department of Children and Families and accredited by the Commission on Accreditation and Rehabilitation Facilities (CARF) for 17 years, Here’s Help operates two locations serving an average of 150 residential and 350 outpatient clients annually. Here’s Help, Inc. believes clients can recover their lives and deserve a chance to succeed. To this end, our vision is to provide high-quality programs and services to help clients meet their treatment goals and objectives, and to provide a work environment that will retain qualified and competent staff. Here’s Help, Inc.’s mission is to maintain a high standard of care and provide quality services to people who need substance abuse treatment. We recognize the need for integrated approaches that address co-occurring disorders. We strive to maintain excellence in providing services that meet the needs of those served, during and after treatment. 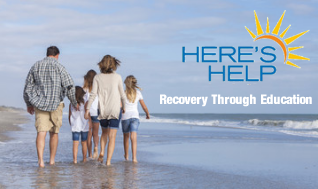 Here’s Help, Inc. is a non-profit substance abuse rehabilitation agency providing a complete continuum of care, including residential treatment for adults and juveniles ages 13 – 23 and outpatient treatment for persons 13 years and older (primarily indigent individuals experiencing financial barriers to recovery). 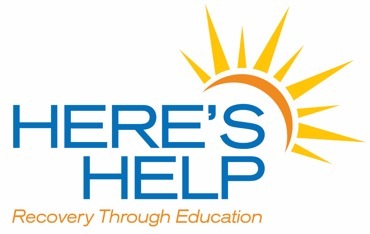 Founded in 1969, Here’s Help, Inc. is a 501(c)(3) non-profit organization, which has become South Florida’s premiere provider of residential and outpatient substance abuse treatment. Serving hundreds of clients annually, Here’s Help, Inc. is a campus style environment with a unique approach to substance abuse recovery, incorporating traditional methods of drug rehabilitation with alternative therapy programs and education. Here’s Help operates under a self-help behavior modification treatment philosophy that is specifically designed to meet the varied and complex needs that arise in dealing with substance abuse issues. The 24 hour a day residential program offers group and individual counseling, full-time schooling, vocational assistance, medical and psychological testing, alternative therapies, dental care and social and recreational activities. Here’s Help also offers a structured Outpatient program that provides group and individual counseling. In the last few years, Here’s Help has added In-Home therapy. A 24 hour a day residential program which offers group and individual counseling, educational and vocational programming, linkage to medical and psychological services, alternative therapies, case management services, as well as social and recreational activities. A structured outpatient program that provides group and individual counseling, advocacy and case management services. In home/on-site therapy to clients who exhibit mild to moderate alcohol abuse, drug abuse and/or co-occurring problems and for those that are unable to attend one of our outpatient offices due to transportation of other barriers. The program is a family focused intervention. Services provided through in-home/on-site therapy include comprehensive assessment, service and treatment planning, case management, individual and family therapy, and random drug tests. We have identified the following key strategic areas of emphasis for the period of 2017-2020. To continuously enhance program services to meet the needs of the community. To transition to paperless environment. To prepare for the future- including fundraising changes and succession planning. Within these four key strategic areas, we have identified several goals, which are outlined below. To plan for fundraising post John (Footy) Kross. To further outline our succession planning. Based on feedback from clients and referral sources, we have identified the need to expand our outpatient and in-home services. This expansion would allow us to serve more clients in need and those who lack transportation or are experiencing other barriers. 1. a) Obtain more funding to increase staffing for outpatient and in-home programming. Achieve this through discussions with SFBHN, writing grants and expand Medicaid billing. 2. b) If more funding is obtained, increase outpatient and in-home services by 40%. Based on feedback from clients and the community, we have identified the need to make periodic upgrades to our South facility. Due to our desire to continually improve / upgrade our programming and to stay competitive in the marketplace (salaries), we seek new sources of funding that will meet this objective. a) Seek out and apply for grants/foundations. -Entering client information one time and it will automatically populate all forms, notes and plans throughout the episode of care. -Automatically prevent errors. Software will have built in safeguards to insure no field or signature is missed. -Here’s Help has received a grant from HFSF to purchase KIS EHR. a) To continue to work with KIS in the implementation of the E.H.R. Goal 5: To plan for fundraising post John (Footy) Kross. Here’s Help has been very fortunate to have John (Footy)Kross raise millions of dollars for the organization over the years, but after almost 50 years with Here’s Help, we need to start to plan for the day his fundraising efforts will start to slow down. a) Meet with board president to establish a tentative timeline for transitioning from our current fundraising projects. b) Determine what fundraising projects are realistic without John Kross. Goal 6:To further outline our succession planning. As the upper management team has been with the organization close to 50 years and may want to retire or semi-retire something in the foreseeable future, we’d like to further outline our succession planning. a) Meetings with CEO and board chair to prepare a future organizational executive structure. b) Initial plans for how the transition will work.